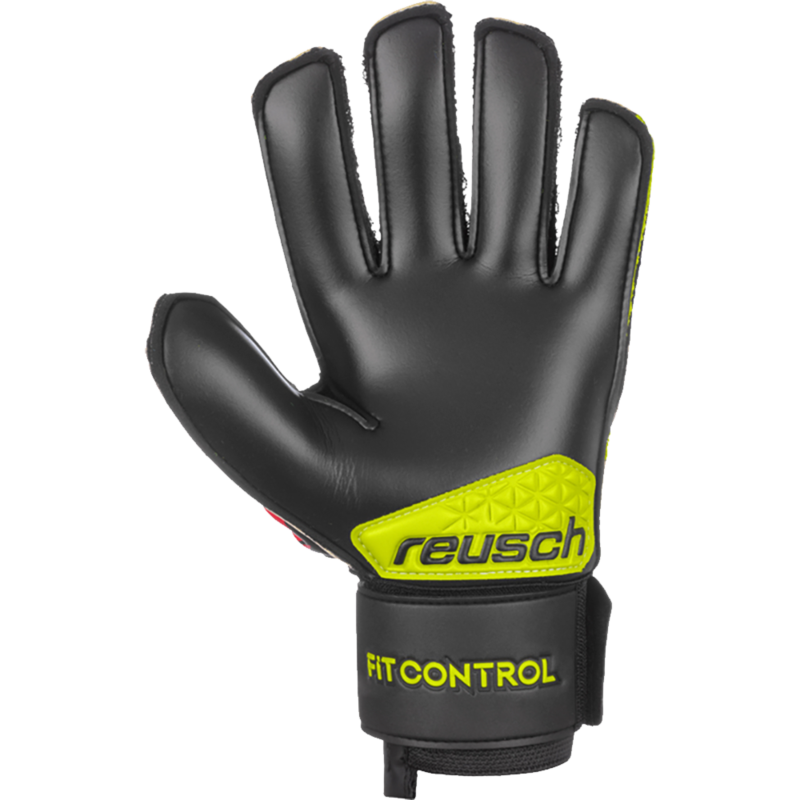 The Reusch Fit Control R3 Finger Support offers a superb soft durable latex to provide a balance of grip and durability. This is a perfect training glove option or game option for keepers who play on turf. The flexible spines support the fingers and backhand whilst allowing freedom of movement. A wonderful all round goalie glove! The R3 Megasolid German engineered and manufactured foam is the right choice for goalkeeper's looking for a palm that has longer lasting durability and has good grip on artificial turf and hard ground fields. This is due to the composition of latex and Durabond technologies. 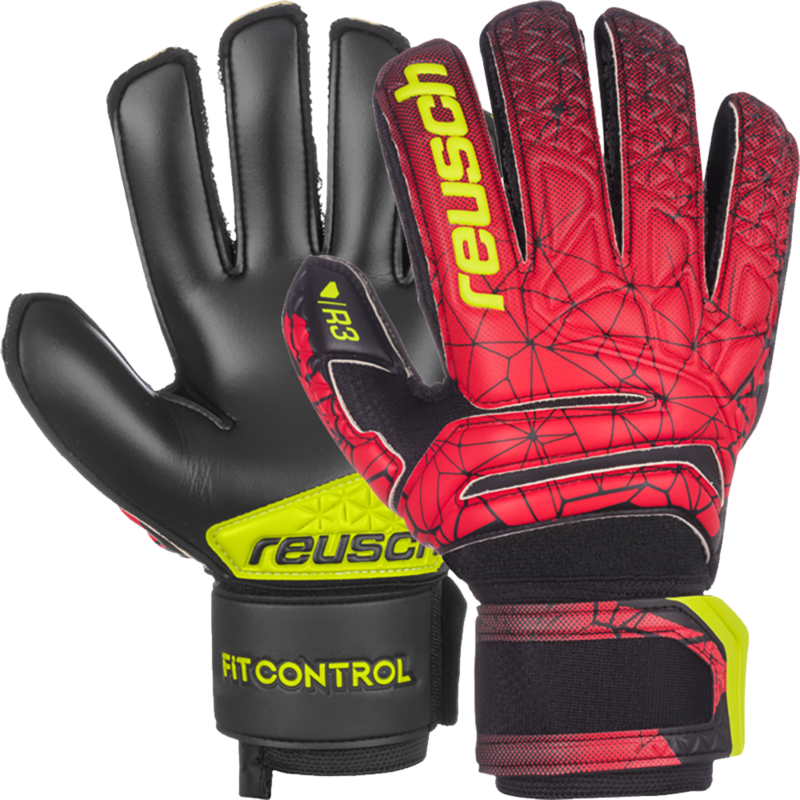 Reusch have added a Duraguard patch at the base of the palm to help prevent excessive wear in that area. The reusch glove features an all latex backhand. Embossed foam design makes the glove more flexible and many breakpoints across the backhand. Mesh gussets for comfort and breathability. Full strap wrist bandage with velcro closure and textile window. Any goalkeeper that plays on turf or hardground surfaces. These have worked out great for my indoor league. 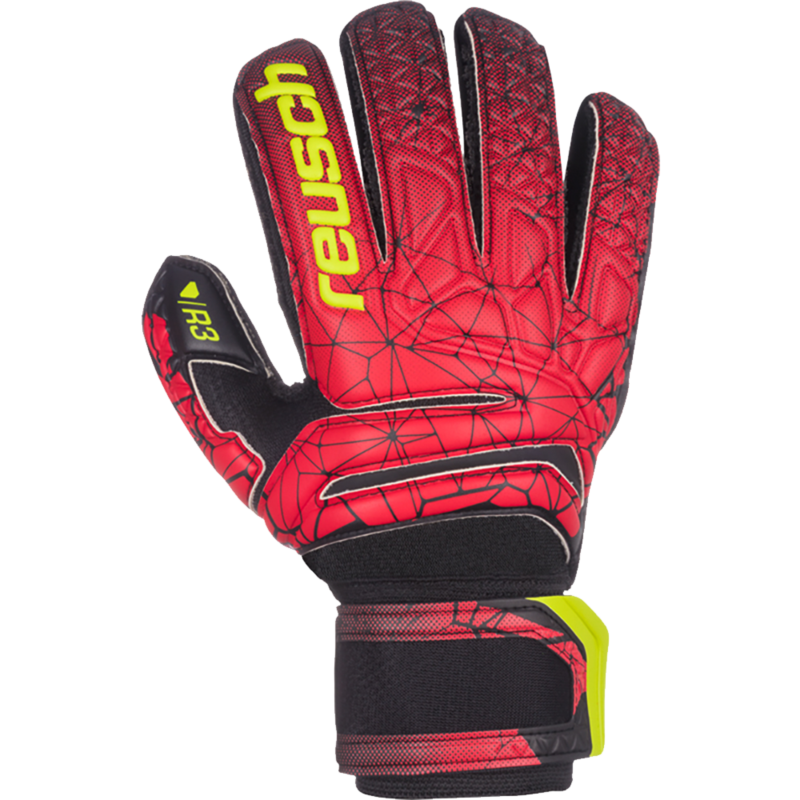 I've always chosen Reusch and will continue to do so. Thanks to Keeperstop.com for recommending this particular pair of Reusch gloves.